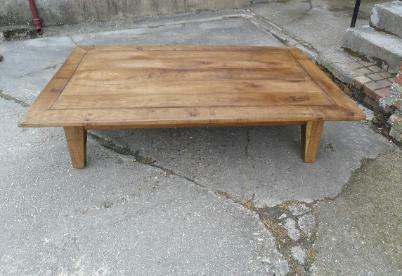 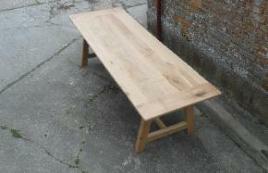 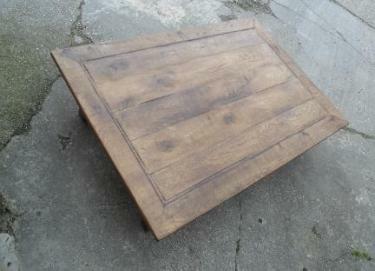 Below: Character Oak Coffee Table with inlaid top. 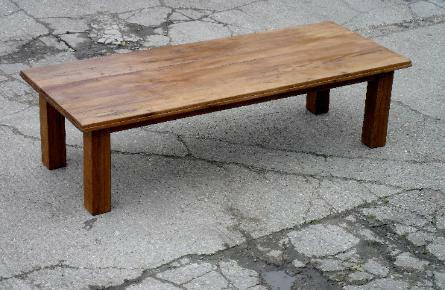 Click for more pictures and close ups. 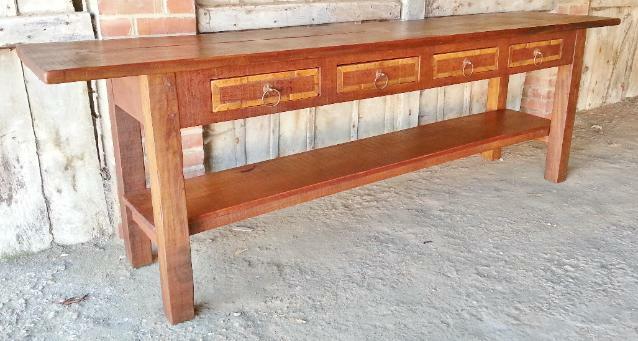 Click for more pictures and close-ups. 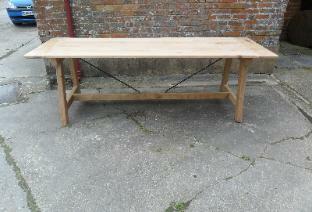 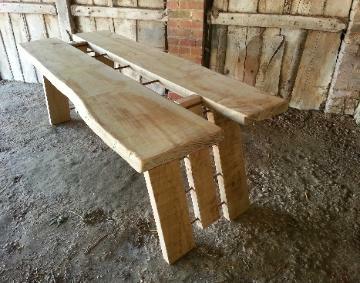 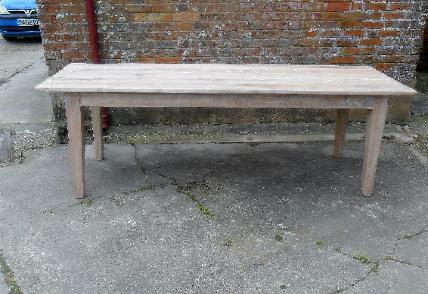 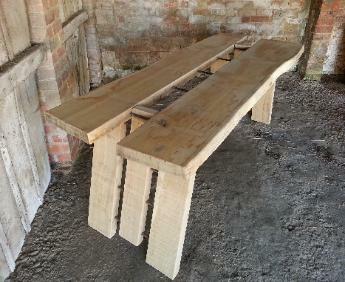 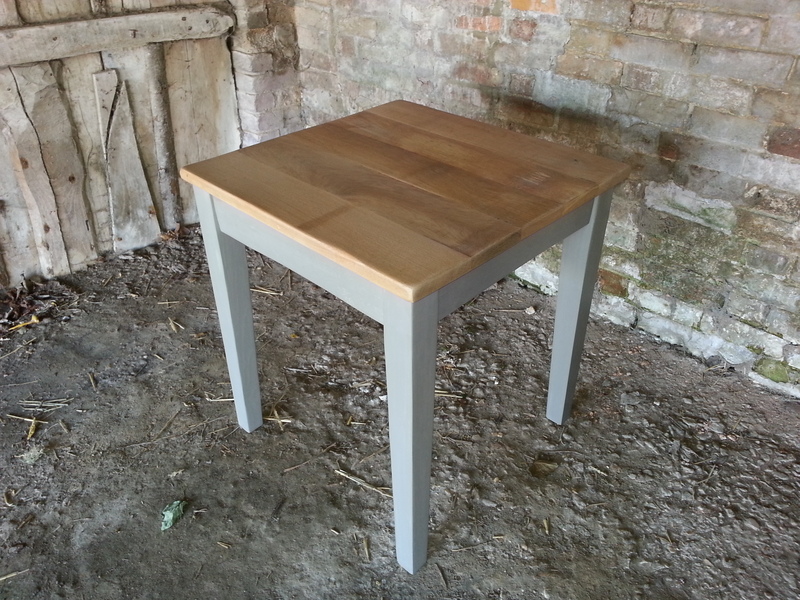 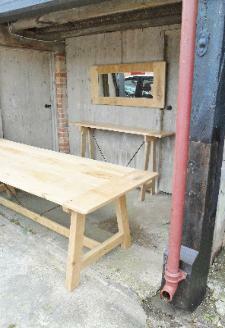 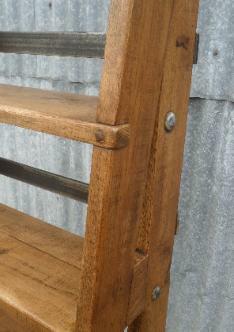 Characte Oak Natural Waxed Dining Table A Framed Legs and Metal Supports. Comes apart for easy handling. 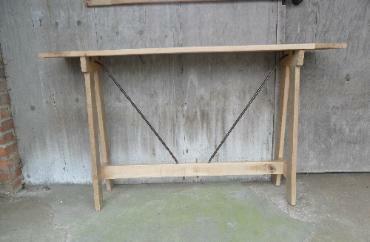 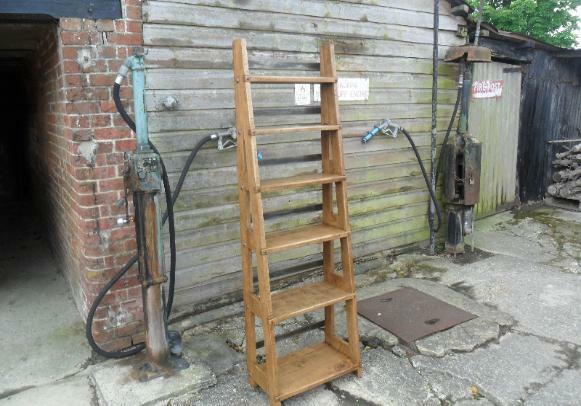 metal handles and a shelf. 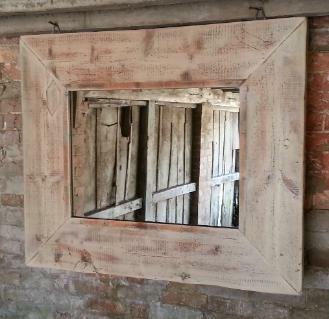 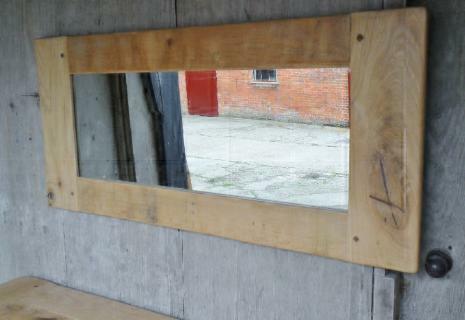 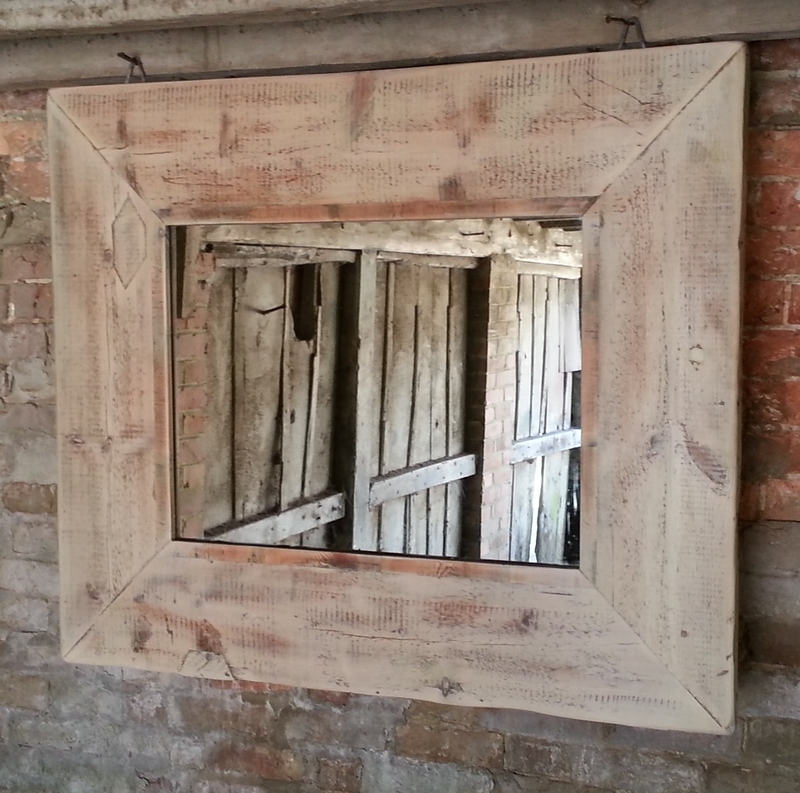 Ancient wood lime washed mirror. 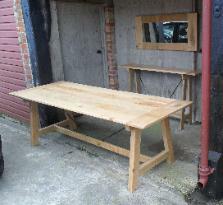 Character oak natural waxed and metal split dining table.